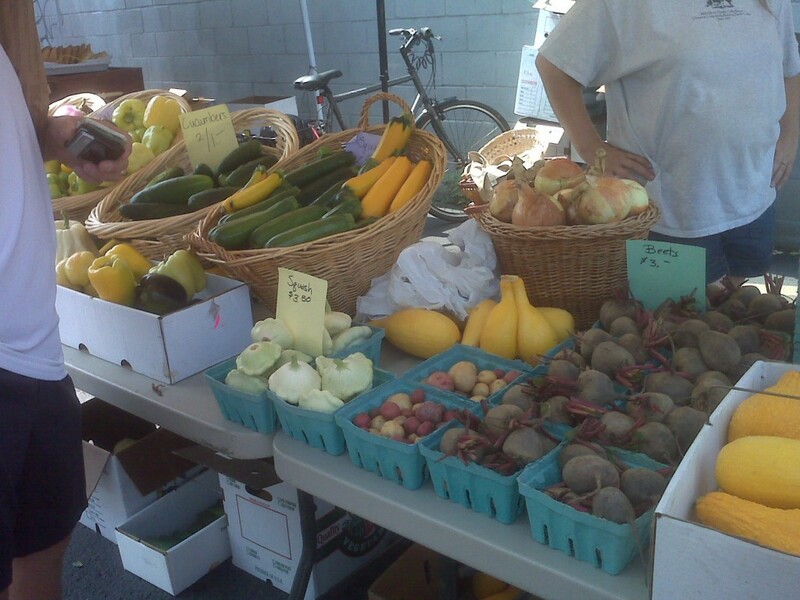 The Post-Gazette just published an extensive list of just about every farmers market and farm stand in the region. The Public Market is a great resource for local produce, other food items, and crafts, and we also love the farmers market at the Firehouse. Farmers@Firehouse is at 2216 Penn Ave., next to the Firehouse restaurant. 9 a.m. to 1 p.m. Sat. May 7 to Nov. 19. Mostly organic and naturally grown produce, local meat and poultry. Chef demos weekly. Sponsored by Slow Food Pittsburgh. The Pittsburgh Public Market is at 2100 Smallman St. 10 a.m. to 6 p.m. Fri., 9 a.m. to 5 p.m. Sat., 10 a.m. to 4 p.m. Sun. year-round. pittsburghpublicmarket.org. Another farmer’s market that’s easy for Polish Hill residents to get to –the 54 stops right across the street– is the North side Farmers Market, at E. Ohio St. and Cedar Ave. across from Allegheny General Hospital. 3:30 to 7:30 p.m. (Runs Fri. May 13 to Nov. 18). J’eet is named for that classic Pittsburgh contraction, as in “did you eat?”. This great little restaurant isn’t in Polish Hill, but it’s close by, right near Penn and Main, and we strongly suggest that you check it out. The menu features crepes, both savory and sweet, but there are also great sandwiches, salads, and soups. The food is really, really good and it’s presented beautifully. The prices seem almost too low, and the staff are friendly and accommodating (they split checks with a smile!). The space is also warm and appealing–and while the weather’s still nice, the deck outside is available. 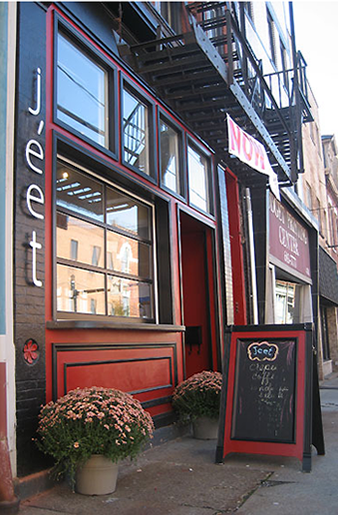 J’eet has a coffee window and treats starting at 7 am; the kitchen is open from 11 am to 9 pm. It’s a great place for dinner, and the Sunday brunch is wonderful. Hours are Monday-Friday 7 am to 9 pm; kitchen hours are 11 am to 9 pm. Saturday and Sunday 10 am to 3 pm. Delivery is available. 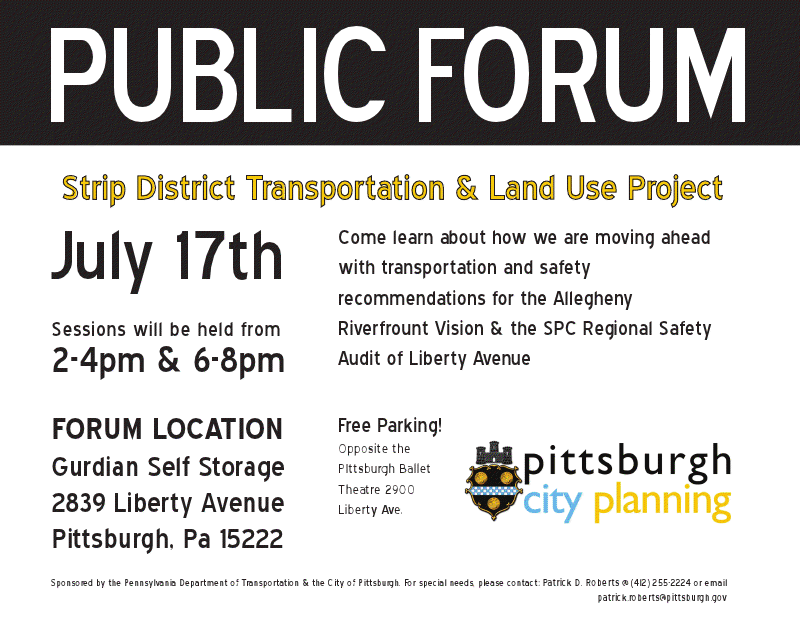 Here is the full menu; call 412.682.5338 for more information. If you’d like to hear what other people have said about J’eet, check out this 2009 City paper review. This is a great, very affordable restaurant that deserves to be crowded at all times. Please support this fabulous establishment! Pittsburgh Marathon is this Sunday! 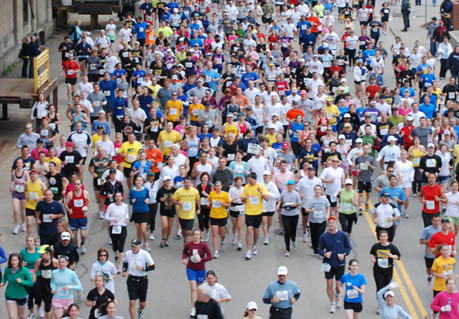 The Pittsburgh Marathon takes off this Sunday May 2 at 7:30 am at Sunday 14th and Smallman Streets in the Strip. Registration for the event has already sold out–16,000 people have registered. Add in spectators, family and friends, and that is one big event that will affect all neighborhoods along the route. The marathon route starts in the Strip, moves through Bloomfield, Shadyside and Oakland. The runners then cross the Birmingham Bridge and move through the South Side, then over the West End Bridge, through the Northside, and finish back in the Strip. If you’re planning to be out and about on Sunday, be aware that from early morning to early afternoon some streets might not be accessible. For full information on street closure times, check here. The marathon website has lots of information on events and activities along the route. One interesting idea the organizers had was to station musicians along the route. Check out the list of the musical acts–there are dozens! Polish Hill’s own Joy Toujours will be playing for the runners at the Quik Mart at Liberty and Herron.